A man reportedly shot and killed himself, showing off the ‘safety’ of his new gun to his friends. Based on the article, I suspect more than one of The Four Rules wasn’t adhered to. Fortunately, none of the audience was injured. In my earlier years working as a credit card fraud investigator, management seemed to not have a solid grasp of how they wanted things done. So, many things didn’t have established protocols, they were developed on the fly. And, changed in the same fashion. One of these policies was how restitution payments were handled. At first, just about any investigator would receive a payment from a suspect or convicted felon, and they’d jump through various hoops to get the payment posted, reflecting a lessening of the fraud balance. This was determined to be confusing, so the boss singled out one of the young turks to handle all the restitution accounts, both receipt of funds and bookkeeping. At some point management above the boss determined not all the funds had been accounted for. Embezzlement was suspected. Ultimately, this young turk was found guilty of theft and embezzlement, spent a few months in jail, and ordered to make restitution, himself. My understanding was they were only able to prove about 20% of the missing funds were taken by him. Last I heard, he was still paying money back. But, before his conviction, all of the pertinent facts were not public record. And, therefore, speaking of this suspect by name could lead to charges of slander, and a lawsuit against the company. A large meeting of the TMCCC Security Department was called to address this issue. The boss was there, as well as a representative of human resources. This meeting took just a few minutes. We were told we were not to speak of this crime, nor the suspect by name, nor discuss any details with anyone outside the company. OR, with each other. Of course, as there had already been a ‘gag order’ in place, many of the suspect’s co-workers didn’t know of his arrest, or of what he was suspected. Clarity was NOT the name of the game. In short, we were told to keep our mouths shut about (something we cannot mention) involving (someone we cannot name)! Right. While all this nonsense was happening, one of the investigators was out for a couple weeks vacation. When she returned, of course no one spoke of the events she missed-we weren’t supposed to. A main telephone line rang, she answered it. “Hey! Anybody seen (the guy who shall not be mentioned)? You think YOU have a PROBLEM? Clayton Cramer’s Blog posted a link (last night) to an Internet site wherein self-absorbed folk can complain about problems of the Modern World, e.g. My waitress didn’t write down the order, and now I’m afraid she will screw it up. or The free car my dad gave me has leather seats, but I am a vegan. up a restaurant after hours. The only other worker was the old bookkeeper. And Bly kept whining about not being out with his friends, what a problem it was. Then the old man showed Bly the numbers tattooed on his arm. Back in the old neighborhood (when I was married) there was a local pizzeria. My wife always encouraged patronizing local businesses, so one day we stopped in. The owners, Tony and Maria Dragonetti had moved from the Sorrento region in Italy, to New York, and eventually to Arizona. Then, they opened this tiny restaurant. Tony knew enough English to get by, and run a business. Maria never really learned English. They both did the cooking and baking. The entire restaurant was both funny and endearing. There were Italian and American Flags everywhere, and pictures of the Pope and the President on wall behind the counter. And the food was inexpensive, plentiful and delicious. And, even though I had never lived in an Italian neighborhood (this area is predominantly Latino and Korean) this place was just how I would have imagined it. The three of us had our first meal there, a pepperoni pizza-Neapolitan style, and some sodas. The pizza was at least 16 inches wide, and incredible. I think the bill was under $9.00! (in 1986). My daughter and I stopped by, one afternoon, just to say hello, and get sodas. Tony insisted she take a homemade cookie, or we couldn’t leave. And, we tried to come back every two, three weeks at least once a month. We didn’t have much money then. Saturday night’s were always special. Here’s this tiny restaurant, with maybe 10 tables, packed to the gills with Latinos, Koreans, Italians…all kind of folk. And food is pouring out of the kitchen, as fast as they can make it. And there’s an Italian guy in the back, playing an accordion and singing! Sadly, Maria’s mother in NY became ill, and the family felt it necessary to take her back to Sorrento. So, they sold the restaurant to a couple yuppies (with the secret recipes!). But, it didn’t fly, no more incredible pizza, no flags, no accordion. I guess the yuppies forgot to add the other ingredients, personality and love. I’ve been graced with many shooting buddies. Some persons with whom I’ve shot were not buddies. If they drank, were drunk, or just unsafe, I opted not to shoot with them, again. Many gunnies speak of their dads as shooting buddies. I wish that were so in my case. My Dad taught me how to hold a pistol one-handed and line up the sights. (At age 6). No eye or ear protection. Even .25s are loud! That was about it for him. His passion was fishing. When I acquired my first gun, I acquired my first shooting buddy. You know him as Dave, the genius. (Not to be confused with Dave the artist). Dave was a friend of one of my college roommates, and it turns out, technically skilled and mechanically inclined. It was Dave and I who took the S&W Model 39-2 out for her first paces, sans hearing protection. WHAT? That has changed. He eventually acquired his own collection of firearms, built his own AR, and keeps and has his CCW permit. Dave is the guy who did the mechanical work on my car. This in addition to his regular job of repairing Airbus A320 (and other) airplanes for a major carrier. Genius. I did a separate post a while back about Chip. He and I were shooting buddies for a time, and, when he was a State Prison medic, he ran me through the Prison SWAT team qualifications. But, as it turned out, he was a sociopath, and we parted company. A long-time friend was Bud. We met in high-school, sang on the choir together, and became friends. He was an avid hunter and shooter, and introduced me to the world of people like Jeff Cooper and Robert Heinlein. And libertarian politics. And we used to shoot together alot. I was Best Man at his wedding. Sadly, we’ve grown apart (something I’m 50% responsible for) and I don’t see him anymore. Another lost friend and shooting buddy is Steve. Steve, I always used to say, was the younger brother I never had. And, he copied me, rightly or wrongly in many ways. It was Steve who fired his Model 60 with the magna fireball boom-boom .357 pressure loads! Later he traded me the 60, and surprisingly, nothing was wrong with it. He was Best Man at my wedding. We, too, have had a parting of the ways. Two good men. They’re missed. I purchased my first 1911 from Bob H. He is a long-time friend with whom I’ve worked as a PI, and at the gun store. I’d shoot with him anywhere, he’s that good. There were many shooters at The Major Credit Card Company. Some became buddies, some students, some both. Dan, Robert, Glenn, Gavin, Lee, Jim, Bob P., Tomi and a few more. I met Mark at The Major Credit Card Company. He’d done some shooting, and wanted to learn more. So, we went shooting together, and he became a student. He further enhanced his collection and is now another gunnie. I couldn’t be more proud. Mark is the other guy who worked on my car with Dave, and helped me acquire the needed parts. Let’s not forget the women. Usually women I dated. (I married one.) I figured if we were going to be together, they should be at least familiar with firearms and safety. In no particular order: Ardith, Mary, Roberta, and Judy. (I’m leaving out the ones who didn’t even try shooting- sadly, there were a few). Both Roberta and Judy acquired their own collections, and became a gunnies in their own right. We always need more women shooters and gun owners. They usually haven’t learned their mistakes from TV, so they’re better students. It’s good to know I still have buddies with whom to shoot. The gun store I’ve been known to frequent (and sometimes, in days of yore, worked part-time) is in a large strip mall. At one end of the mall is an Asian restaurant. At the other a liquor store. Run by an Iraqi-American who escaped Saddam’s tyranny. I always figured if there were a tobacconist, the BATFE could one-stop-shop. And the store’s been robbed a couple times. Not very good situational awareness on the part of robbers, choosing a liquor store a few doors away from a gun store! One time, some years back, two misguided youths young armed robbers were robbing the liquor store. One of the gun sales guys walked in, assessed the situation, and shot them both. Distant members of the miscreants’ families (note: NOT the immediate families) staged a protest the following day. They said the killing of their ‘family members’ was racially motivated. I didn’t know armed robbers were a race? On another occasion, one of the gun shop guys was in the store when a couple armed robbers entered. Andy (I’ll call him) was shot in the face with a .410, not having had time to respond. Fortunately, the shot hit the point of his chin, and dispersed along his jaw-bone. He’s still picking shot from his skin, years later. He’s fortunate they shot his jaw and not his eyes. And, he still works at the gun store. And the armed robbers remain at large. The point is, do you only buckle your seat belt when you expect an accident? Do you know HOW you would react in similar circumstances? I’ve said it before, and I’ll say it again. You never know. As my regular readers know, I was in a serious automobile accident in 1995. The specifics have been elsewhere addressed. 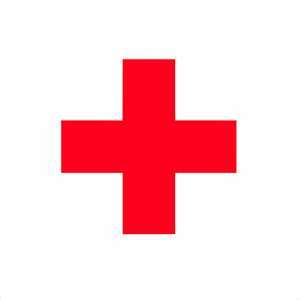 I was in intensive care for 3 of the 6 weeks I was hospitalized. When I minimized this, a friend reminded me that (for comparison) Mickey Mantle, with his failing liver, was hospitalized 4 days in intensive care. Once I was out of intensive care, and on a little less morphine/ativan drip, I remembered I had left two of the three firearms I owned in the care of a pawn shop. And the pawn ticket expired today. Fortunately, a daily visitor was a close friend (and gunnie). I explained the circumstances, and he went to find out what, if anything, could be done. There was no way I was able to leave at that time. Too many tubes and wires. And, that whole inability to walk thing. Presently, he returned, and advised me the pawn shop would allow release of the guns to him, if I provided them with a notarized statement attesting this was permissible. And, the hospital had a notary on staff! As rapidly as I could (while heavily medicated), I composed a proper note, and contacted the hospital notary. She said she would attest to my signature and return the note, duly notarized, post haste. No notary, nothing, zip, bupkis. After some time and multiple unanswered telephone calls to her, my gunnie friend went in search. This process took some time, also. At length, he returned, having finally obtained the note, now notarized, and presented it to the pawnbrokers. My firearms were now in safe hands! Whew! It seemed the hospital notary, after examining my note, and knowing the circumstances surrounding the accident, assumed I was going to commit suicide, so she wasn’t going to notarize the document, and, simply ignored my further requests for information. Fortunately, my friend got everything sorted out. I won’t say such thoughts hadn’t entered my mind. But, use a firearm. No Way! I respect them too much. Nice of the hospital to make those decisions for me. Again, thank God for my friends. 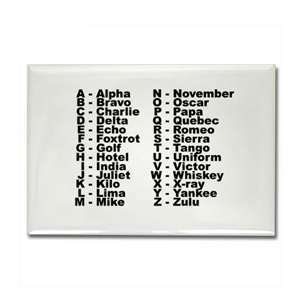 I always liked using military time and the phonetic alphabets. Initially, probably because it sounded ‘cool’, but then later because it seemed more precise and accurate. When I went to work for That Major Credit Card Company, I came in operating under the premise that everyone was an experienced investigator with a more-or-less common skill set. I overheard one of my female co-workers, who had been married to a cop, and around corporate security, on the telephone, spelling a name: “A like in apple, K like in kitty cat…”. I had thought we were professionals. It sounded like Sesame Street. Another friend and former coworker had been a police dispatcher. She advised me the ineptitude didn’t start at that Major Credit Card Company. They had a trained dispatcher who spelled, “Q as in cucumber.”! So I took it upon myself to find a number of the different phonetic alphabets, and brought them in for the bosses to share. It didn’t help, much, because they really didn’t care. Many of my co-workers (except, of course, the former military and police folks) just didn’t get military time. No, I didn’t get fired, or even reprimanded. In this environment, with management setting no standard, and not caring, I don’t feel we sounded professional, either to the police agencies with whom we worked, or the customers. During my all-to-short tenure at John’s Uniforms, I had the privilege of meeting two men of historic Phoenix stature. One was John T. (Senior). John T. (Senior) was Johnny’s (of John’s Uniform fame) father. He had a machine that was used to manufacture custom shirts, first for Western wear, later for police uniforms. The police uniforms were Class ‘A’, meaning they were in 100% wool. Absorbent, great-looking, and would wear like iron. They also sold the matching wool trouser, complete with a sap pocket. John T. (Senior)’s claim to fame was not police uniform wear, however. Before about 1940, if one watched a Western movie, or went to a rodeo, cowboys (both real and drugstore) wore Western shirts. 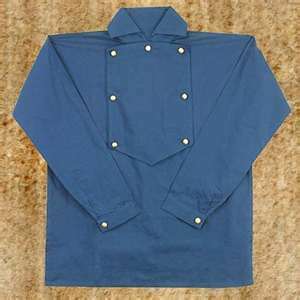 They resembled the U.S. Cavalry shirt, with the double-buttoned bib-style front. Usually patterned, not just dark blue. But, they were a pain to launder, iron and maintain. Enter John T. (Senior). He designed what we know today as the modern Western shirt. Snaps, single plaquet front. Yoke shoulder. Slanted pockets. Easier to don and maintain. Now Joe P. enters the picture. He opened a local chain of Western wear stores, and sold John T. (Senior)’s Western shirts. A match made in Heaven! Rodeos and movies (and TV) were never the same. They were both self-made men, although Joe P. did better, financially. It seems patterns for Western-style clothing are not copyright-able or patentable. Joe P., long since retired, would come in to John’s and hang-out. And he’d tell stories of Phoenix in the old days, as before WWII. And Johnny’s manager at the time used to work for Joe. So, it was a pretty tight group. Both John T.(Senior) and Joe P. are gone now. Joe P.s family broke off the Western wear stores into different entities. And, while John’s Uniforms still exists, Johnny has retired, too. They don’t even sell Class ‘A’ local-machine made wool uniforms, anymore. I went in for one a few years ago, and they were polyester. Sad. I always wanted to be one of those people who could read minds, or experience Extra-Sensory Perception or other stuff. Alas, I never have. We were visiting family friends outside Washington, D.C.. The dad worked in Washington, so, he drove us into the city, and we caught a tour bus. Well, actually, a tour limousine. And we rapidly visited many of the historic sites in our Nation’s Capital. It was wonderful. After the rapid-fire tour was completed, we were dropped back directly by the White House. And I was told I was ‘on my own’, and could meet the others at an appointed time again, at that location, later. So, here’s young Guffaw, walking up Pennsylvania Avenue, taking in all the sites. About a block down, across the street, a strange, foreboding feeling overcame me. I wasn’t afraid, just sad and confused. And strangely chilled. You’d think I’d be happy divesting myself of the family for a while? And, I had just stopped in front of a white building, and tried to assess what I was feeling. Maybe I was coming down with something? Truman was staying at Blair House while the White House was under renovation. Torresola and his partner Oscar Collazo had tried to storm Blair House to kill the President. And Officer Coffelt died protecting him, killing one of the assailants. Collazo was sentenced to death, but commuted to life by President Truman. President Jimmy Carter then further commuted his sentence to time served, in 1979. And, I got serious chills, standing on that spot. It had never happened to me before, or since. Makes my skin crawl, today, just thinking about it.